GET TO SLEEP FAST & STAY ASLEEP ALL NIGHT | Do you suffer from insomnia, sleep deprivation, or simply just can't get a good sleep at night? Can you get to sleep but can't stay asleep? Do you sleep fine but never wake up feeling refreshed or energized? LUNA is the answer to your prayers and will give you the best sleep of your life. 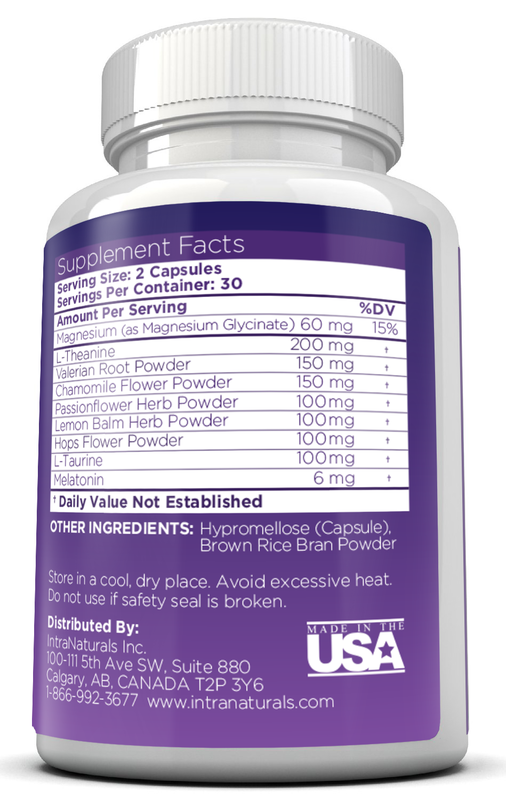 Stay asleep and wake up feeling refreshed & energized - 100% guaranteed! 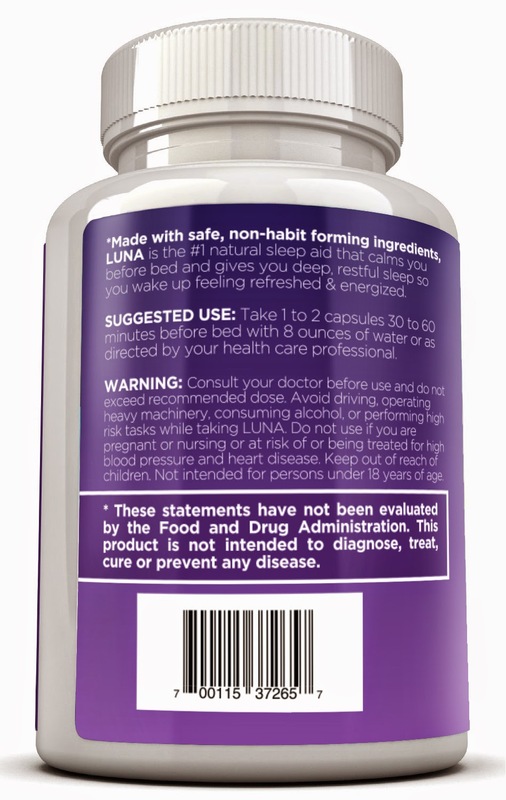 100% NATURAL, DRUG-FREE, NON-HABIT FORMING INGREDIENTS | LUNA is made with safe, all-natural, scientifically backed ingredients that are non-habit forming (unlike prescription medications) that will encourage a healthy and balanced sleep schedule. You'll get deep, restful sleep without the side effects of harsh chemical alternatives. IMAGINE DEEP, RESTFUL SLEEP EVERY NIGHT | What if you could fall asleep fast, sleep all night long, and wake up feeling refreshed and energized? Now imagine experiencing that every single night from now on. That's the power of LUNA. The combined natural ingredients make sure you stay in a deep, restful sleep and wake up feeling completely rejuvenated with energy & confidence WITHOUT the groggy, sluggish feeling that you get from other sleep aids and prescription medications. LUNA RELAXES & CALMS YOU BEFORE BED | Do you find it difficult to relax and slow down before bed? Is your body exhausted at the end of your day yet the second you turn off the lights to fall asleep, your mind is racing and keeping you wide awake? It's so frustrating and you're not alone with this problem. 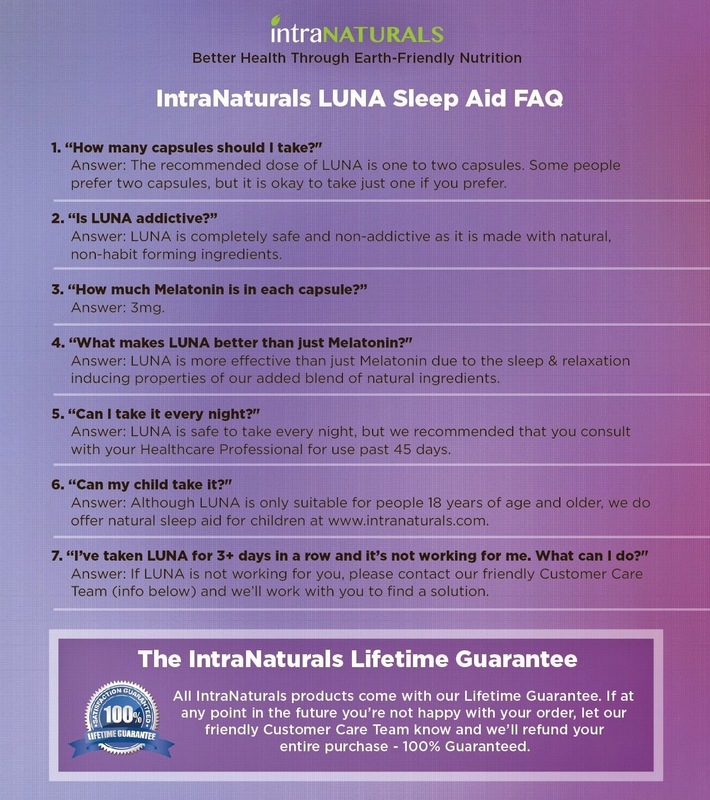 LUNA's all natural ingredients relax you into a mellow mood (but not a sloppy, intoxicated-like mood like some prescription medications do) within minutes so you easily fall asleep. TAKE US UP ON THE LUNA CHALLENGE | You can try LUNA for as long as you like. If you don't feel more relaxed before bed, stay asleep all night, wake up feeling refreshed & energized, and have the best sleep of your life - let us know and we will refund your entire purchase. I was happy to get to try LUNA Premium Natural Sleep Aid by Luna. I was a bit apprehensive in taking this sleep aid, about 20 years ago I had a bad experience with a sleep aid that was not natural and have not taking one since. My sleep pattern has been off for a long time and I am only sleeping an hour or two, three ( if I'm lucky) at a time. I need a good nights rest and get my sleep pattern back to normal. So I decided to try Luna because it is natural and a trusted company. I like that it has safe, non addictive ingredients. I love that it is drug free and when I took it the first night, I slept well and when I did wake up (to my 7am alarm) I felt great! 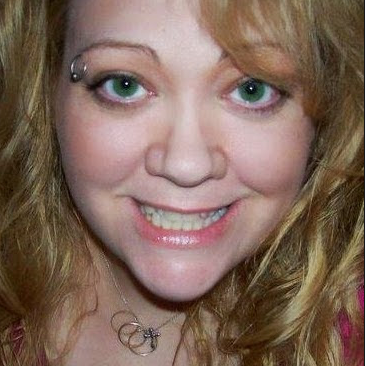 I felt awake and bright eyed and ready to start my day! I was so afraid of waking up partially and feeling groggy and drugged BUT this was not the case! Luna really worked the way it says it does and I feel so relieved that now I can take Luna to help me get the good nights rest my mind and body need. 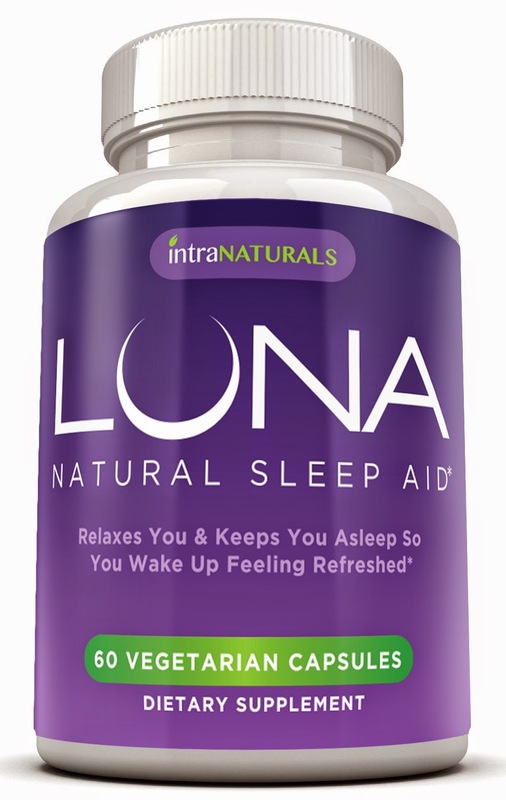 I recommend Luna natural sleep aid for anyone over 18, who needs a good nights sleep, naturally.